Billszone Player of the Week. 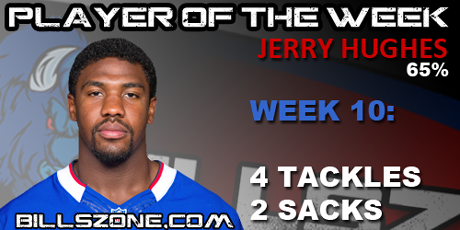 Not an easy week to pick a top player, but Jerry Hughes continues to impress. Jairus Byrd finished second in the voting and Stevie Johnson third. 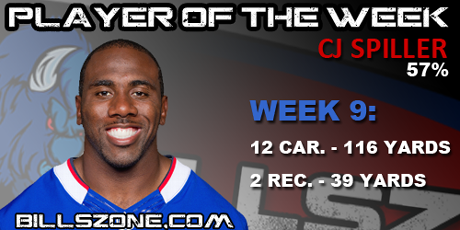 CJ Spiller is the BillsZone Player of the Week with 57% of the voting on his side. LT Cordy Glenn pulled in the other 43% with his dominant performance against Kansas City. 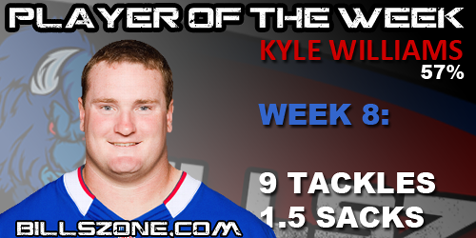 Kyle Williams is the BillsZone Player of the Week with 57% of the votes. Stevie Johnson finished second with 34% and Fred Jackson notched 3rd place votes. 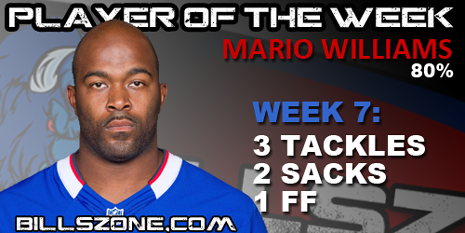 Mario Williams has been named Billszone’s Player of the Week, getting 80% of the votes. Fred Jackson also received lots of respect from the fans. Kicker Dan Carpenter finished 3rd. 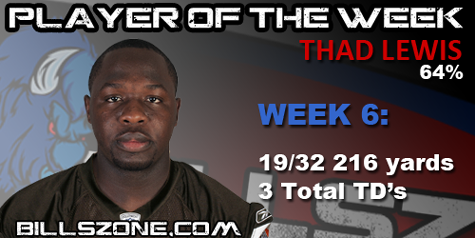 Thad Lewis is the Billszone Player of the Week with 64% of the vote.